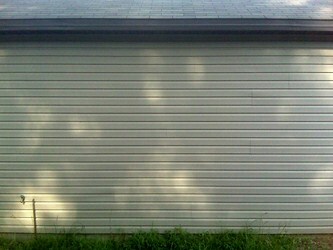 Most of us like to install vinyl siding in order to cover the exterior of our house. The reason for using vinyl is because it is designed to hang loosely from the side of the house that allows the expansion of temperature and contraction without damaging the siding or even the house. Apart from that, vinyl also would be able to resist stains much better than woods or other materials, plus its maintenance is also easier to do. Exterior vinyl siding is easy for any house owner to install on their own without the need to hire a professional. The first thing that you need to do is to measure at least 1/4 inch up from the lowest point of your wall. In order to create an even line that extends across the whole wall, you can use a chalk line or a level. By doing this step, you would be able to have a level starting point which can help you keep all of your siding on the same level. You must always wear protective goggles and gloves for your protection whenever you cut the siding in order to prevent damage from shrapnel or the knife blade. The next step is for you to line up a starter strip of siding with the bottom of the level line. Then, you can hammer your nails with the hammer right into the center of your nailing slots of the starter strip. You should allow for a certain gap of expansion, you need to leave at least 1/16- to 1/8-inch gap between the nail head and the siding. For your information, vinyl siding is made from PVC or Polyvinyl Chloride that is the same material used in windows and material used for gutters. Vinyl siding needs a very little and simple maintenance and it is also pre-colored where it does not requires any painting. After that, you need to install the next starter strip and leave at least 1/4-inch gap between the strips to allow for expansion. Next, you can proceed with the installation of the starter strips of up to 10 inches from each cornet of your house. As you continue to do the installation, the small gaps will not be visible to you. You should continue the above steps until you finished installing all the starter strips. Then, you need to install the vinyl corner posts on every corner of your house within the 10-inch gaps you left. Make sure that you leave 1/4-inch gaps between each piece and also between the final piece and the roof. The same rule of thumb applies when you proceed to hammer the nails into the center of the nailing slots to create optimal hold. Once you have finished doing the above step, you shall continue to attach the sill flashing onto your windows. You should be using sealant or adhesive recommended by the manufacturer at least 9 inches beyond each edge of the window. Then, you have to firmly press the sill flashing into place. Take the J-channels and attach it to the sill flashing. The reason of using the channels lock is to secure the siding into place around the windows. You need to cut each J-channel piece to extend 2 inches beyond the window on each of its side. Then, line up the J-channel with the edges of the windows before you can start to hammer it into place. Make sure that you center the nails in the nailing slots leaving at least 1/16- to 1/8-inch of the required gap. After that, you can proceed to attach J-channels along the roof edge at least 1/2 inch from the roof line on your house. You need to ensure that you extend the J-channels 2 inches beyond the edge of the roof to allow water to run-off. Then, you should nail the channels into place like you did in the previous step. Next step is for you to do is to attach the first row of vinyl siding into the starter strip. This is to securely lock it along the entire length of your siding piece. After you have securely locked your vinyl siding, you need to hammer nails into the nailing slots and centering the nails into the slots leaving at least 1/16- to 1/8-inch of the required gap between the nails and the siding. You can also add more siding onto the first row and leave at least 1/4-inch of the required gap in between each piece as well as between the pieces and the corner posts or your J-channels. Cut the vinyl into appropriate size by using your utility knife if the need arise and necessary to do so. You should continue this step until you have completely finished the first row. Then, proceed to attach the next row just above the first row that you have completed. Next, hook the bottom of your siding piece into the lock from the one below before you press it until it fits securely into place. In order to allow it to have a bit of space enabling to shift side to side for expansion but not able to sway on its own. Then, you should nail the piece into place. Finally, you need to inspect on your installation work on every fifth row. This is to make sure that the pieces are still at horizontal level. The installation need to be continued until you finished doing all installation of the vinyl siding up to the roof of your J-channels. Always remember that whenever you want to install your exterior vinyl siding, you must make sure that you read all the detail instructions provided by the manufacturers related to the installation process. You will find that most manufacturers of vinyl siding supplied corner posts, sill flashing and other necessary installation materials. If you have any queries on these items, you should check with the manufacturer or seek advice from an expert. If there is any damage to your walls or the caulk around windows or doors, you have to repair the damage first before you start to install your vinyl siding. You must always remember not to do any installation on damaged wall areas which might result to you having the risk of damaging the vinyl itself. This entry was posted in Home Improvement on December 16, 2011 by Mike.